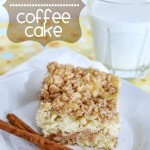 Coffee Cake Muffins (+ More Coffee Cake Recipes) - Dessert Now, Dinner Later! 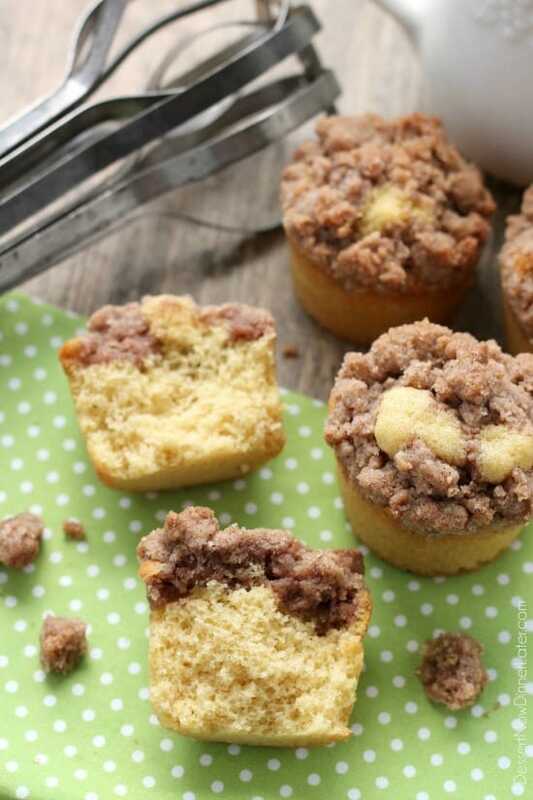 These coffee cake muffins have a moist, buttery yellow cake, and are topped with lots of crunchy, sweet cinnamon streusel. 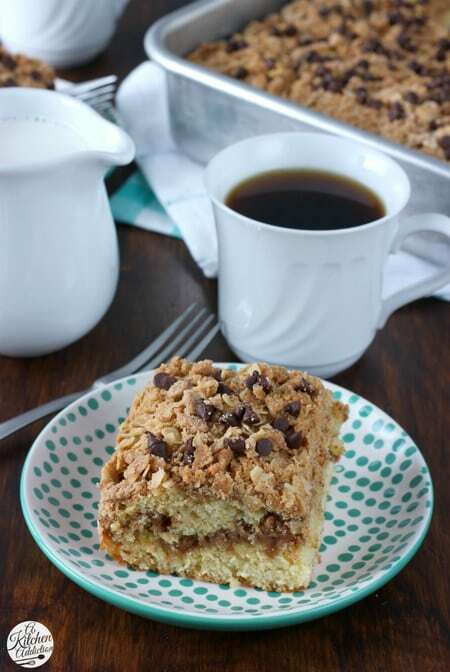 Today is National Coffee Cake Day, and although I don’t drink coffee, I just love a cake that is piled high with streusel, so I made coffee cake muffins to celebrate! I will pretty much eat anything with streusel. The buttery, crispy, crunchy-sweet goodness is oh so addicting. 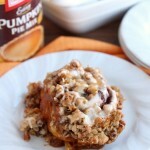 One of my favorite streusels is the one in this Cinnamon Pumpkin Crumble. It has pecans in it, which I thought I would hate, because I don’t really love pecans, but it adds a totally new crunchy texture that is so worth trying. 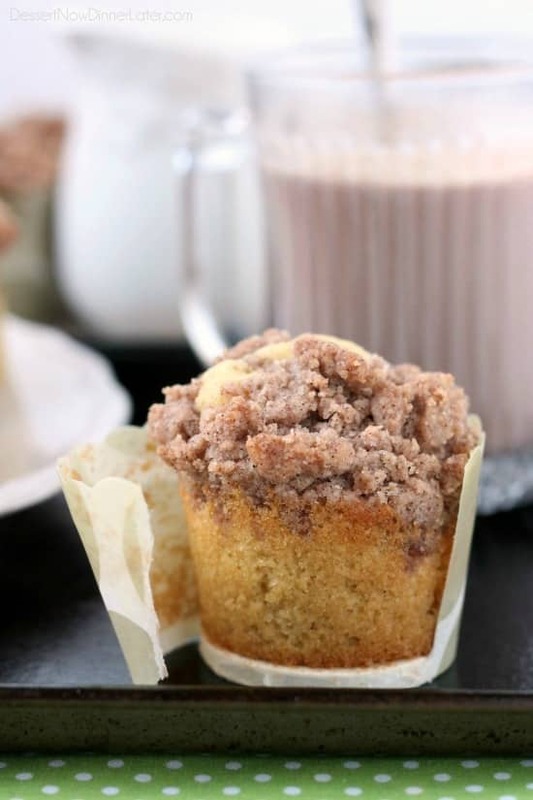 The streusel on top of these coffee cake muffins is super traditional. Butter, flour, cinnamon, sugar, and a little salt. Instead of cutting in the butter, I melted it, so I got these huge round clumps of buttery-sweet streusel pieces. The batter rises quite a bit, you can see that some of the muffins have cake poking through the streusel, and with the streusel on top, that’s a lot of stuff to put into one muffin cup. So don’t go overfilling those muffin cups, or it could be a potential disaster. I actually used those self-standing, hard muffin cups that you don’t need a muffin pan for, and they worked great! 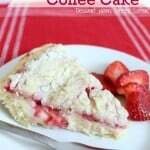 How about a little confession before I share the recipe? Okay! I tend to have a problem with desserts in my house. It’s SO hard to just eat one, even when they are individually portioned, like cupcakes or muffins. Just know that these muffins were totally worth eating three in one sitting. (Yes, I totally did that.) Enjoy my friends! Preheat oven to 375 degrees. Line muffin pan(s) with paper cups. Set aside. 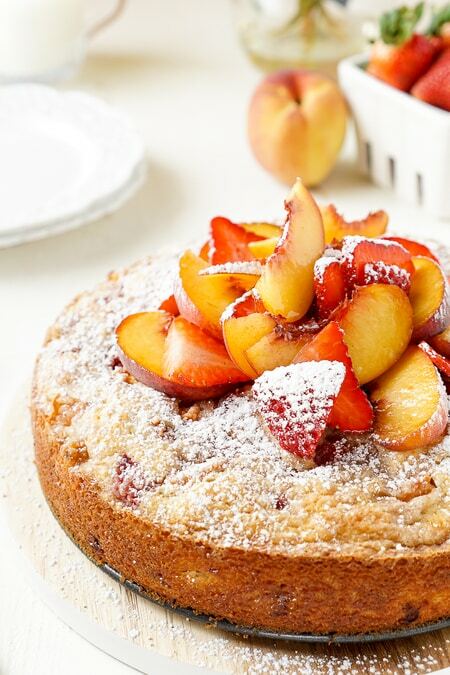 In the bowl of a stand mixer, combine the flour, sugar, baking soda, and salt. Using the paddle attachment, cut in the butter, one Tablespoon at a time, until the mixture resembles fine crumbs. In a separate bowl, whisk together the egg, egg yolk, vanilla, buttermilk, and oil. Add the wet ingredients to the dry ingredients and mix until incorporated. Fill muffin cups ½ full. Do not overfill! About 13 to 14 muffins depending on the size of the cups. Set aside. 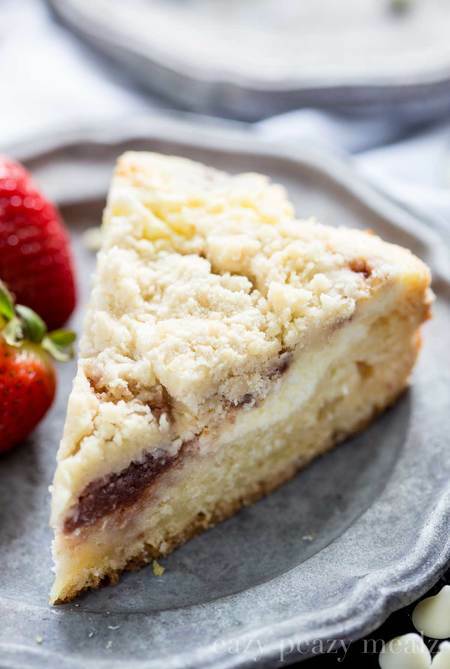 Prepare streusel by combining the flour, sugar, cinnamon, salt, and melted butter in a bowl until everything is wet and crumbly. 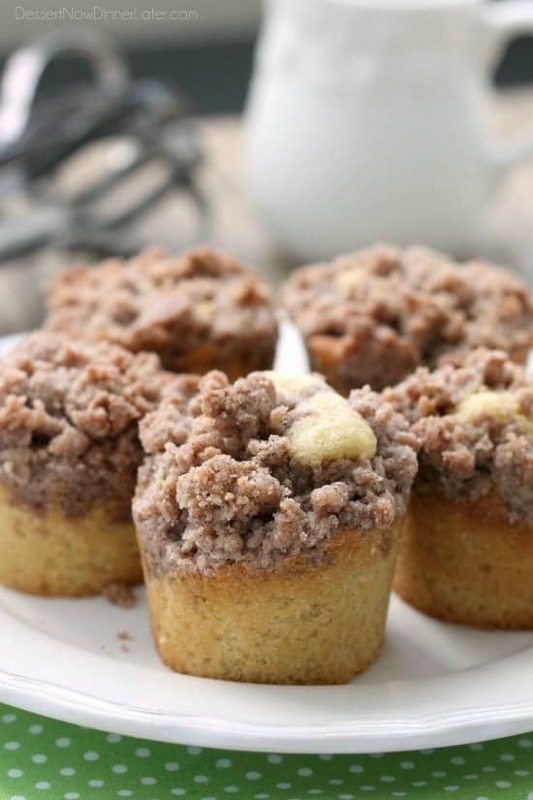 Divide the streusel between all the muffin cups. It will seem like a lot, but use it all. Bake at 375 degrees Fahrenheit for 15 to 20 minutes, until a toothpick comes out of the center clean. Allow to cool completely. Store any leftovers in an airtight container up to 3 days. 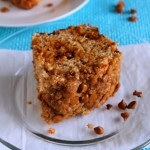 Love the thick layer of streusel! Amen! 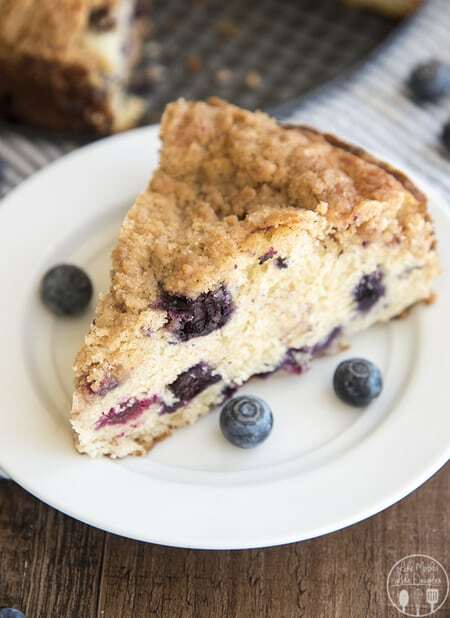 Love me some streusel! Thanks Jessica! Oh my goodness, these muffins!! 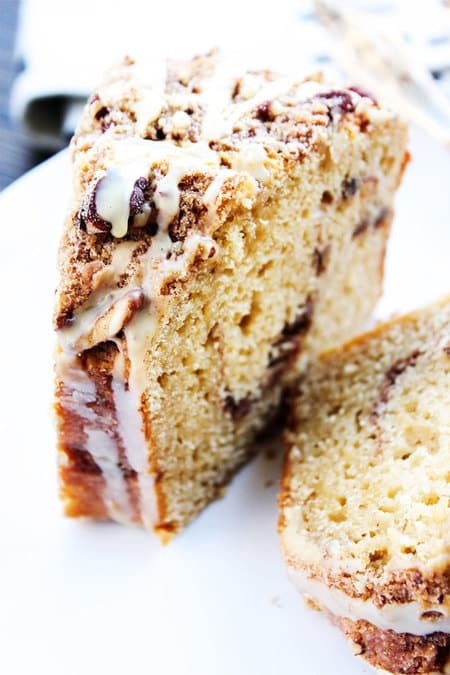 I just love how thick the streusel is on top and I love that they’re little bite sized portable coffee cakes! Thanks Aimee! The are perfect for on-the-go! 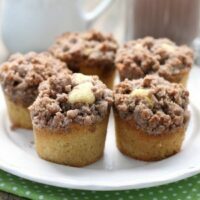 I feel the same way, I have such a weakness when it comes to streusel topping and I love how high you piled it on these muffins! They look amazing! I’m glad I’m not the only one. 😉 Thanks Kelly! I’m completely in love with these muffins, Amber! 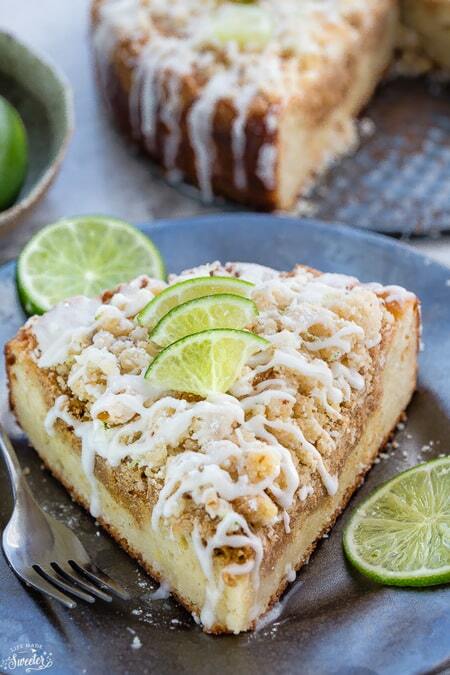 That streusel topping is killing me!!! 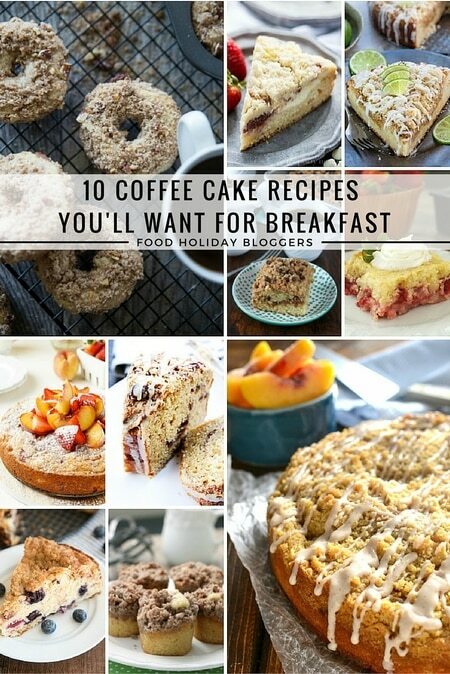 Definitely would try out that coffee cake muffins!! It looks so tasty! Yep, these are perfect. A one handed grab and go breakfast that satisfies my morning sweet tooth. What else can a lady ask for!? Thanks Karly! They really are great for on-the-go! Hi Patricia. I’m sorry to hear about your bad experience. I’m guessing you won’t make these again, but the batter is meant to be thick. I’m sorry you felt like you had to add more liquid to them. Thanks for sharing. Where did you get the muffin liners? They look a bit taller than your average muffin liner? 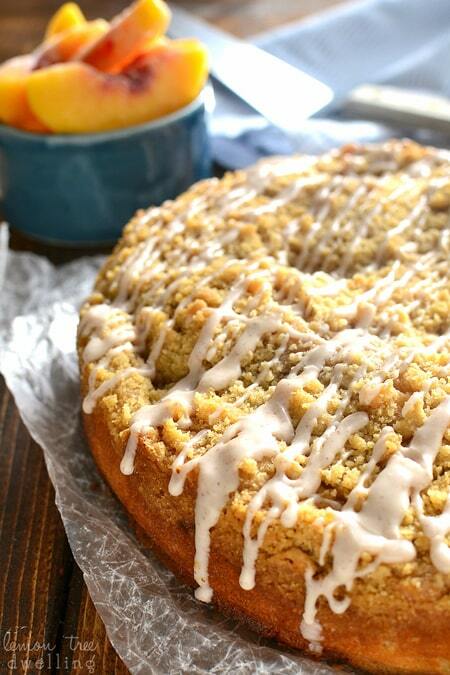 Amber, which measurement of sugar goes in the batter and which in the streusel? Could be important! Hi Patricia. I recently got a new recipe plugin and it messed up the format of a lot of my recipes. I usually group them. 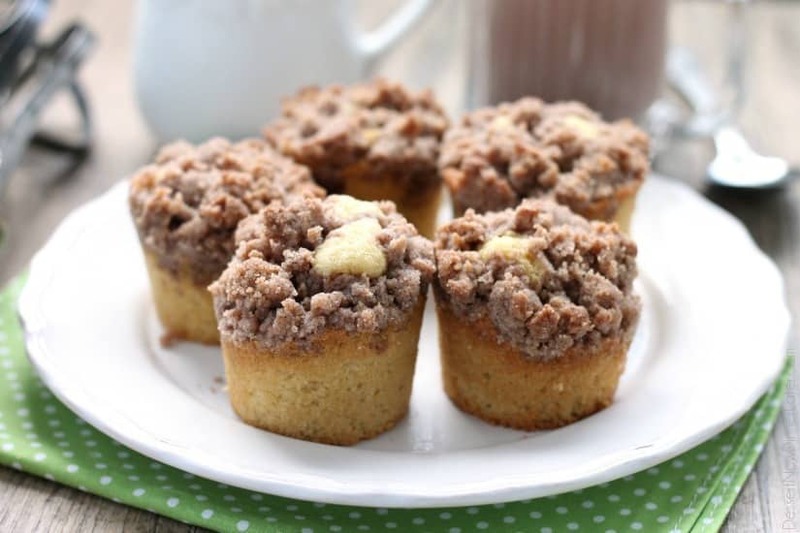 I’ve manually fixed the ingredients into sections that say “Muffins” and “Streusel”. Let me know if you have any more questions. Same question about the flour measurements! Followed the recipe but my muffins taste a little off. 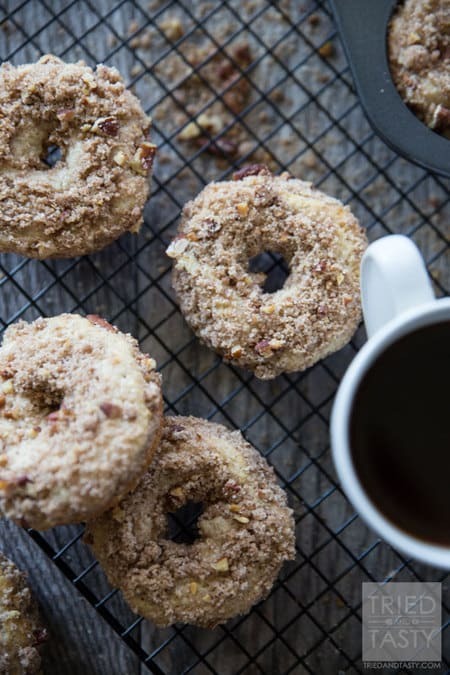 Does it matter what type of salt you use in the streusel? I think that might be my problem. I use either regular table salt (iodized) or sea salt. I hope you figure it out! Hey Amber, Love these! Found on Pintrest, made minis this time but will do full size next time with parchment cups. Need to add a bit more butter to my streusel I think as it was just a bit on the dry side. 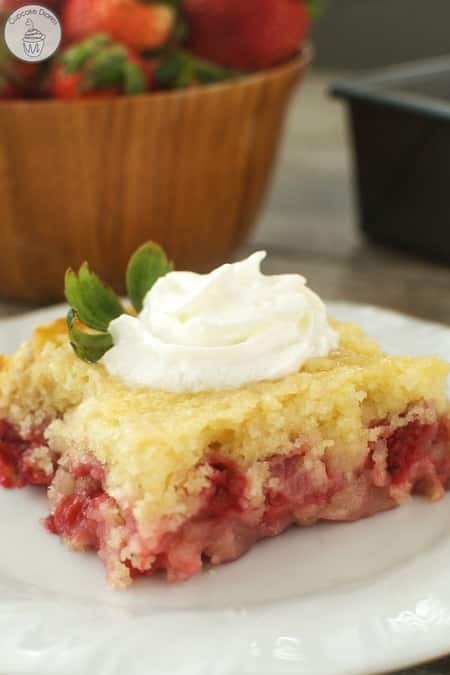 Overall a great recipe and so simple, thanks for sharing!! Great! Thanks for sharing your experience!